Roll with the Calcium Carbonate Winner at SupplySide West! We are excited and looking forward to a very busy fall trade show season which allows us the opportunity to visit with customers, distributors and friends to discuss our array of high-performing specialty materials. At SupplySide West (SSW) in Las Vegas Oct. 7 and 8, we will be in booth 3471 touting our HuberCal® pure and natural calcium carbonate, which is the ideal ingredient for use in dietary supplementation for granulations, antacids and other various pharmaceutical applications. Our HuberCal products are also perfect for food fortification. The SSW event will be held at the Mandalay Bay Convention Center. assay > 99% and contains low levels of elemental impurities. Want to roll with the winner? 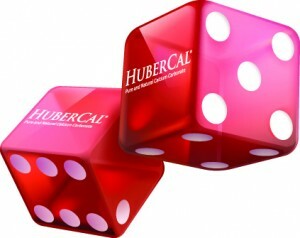 Look no further than our HuberCal pure and natural calcium carbonate! We look forward to seeing you at SupplySide West and discussing our HuberCal products and their many benefits! Huber Excited as Busy Fall Trade Show Season Approaches! We are excited and looking forward to a very busy fall trade show season which allows us the opportunity to visit with customers, distributors and friends and discuss our array of high-performing specialty materials. We cordially invite you to put us on your show itinerary and look forward to you stopping by and visiting with us! Be sure to visit our blog often in the coming weeks as we discuss each of these events in more detail. See you soon!